HomeBlogHow Important is Dental Care for Older People? How Important is Dental Care for Older People? We spoke to Dr. Kamal in our Mirdif branch about the importance of dental care for older people. He explained that when people reach their older years they often neglect their dental health which can have an adverse effect on them. Oral health is just as important as general health, however, oral health becomes more affected with age. We are all provided with only one set of permanent teeth and hence it becomes vital to maintain them throughout our lives. Unfortunately, due to negligence and unhealthy lifestyle habits, a substantial percentage of us fail to maintain oral hygiene and thereby lose our natural teeth. Loss of teeth in old age can affect the chewing and cause digestive problems leading to general health problems. Moreover, it should be borne in mind that poor oral hygiene can pave way for heart problems, pneumonia, diabetes, and other life-threatening illness. The first step towards keeping gums and teeth healthy is by brushing twice a day with a fluoridated toothpaste and flossing at least once in a day. Remember, fluorides are a good choice for fighting against cavities and contribute to maintaining good oral hygiene. 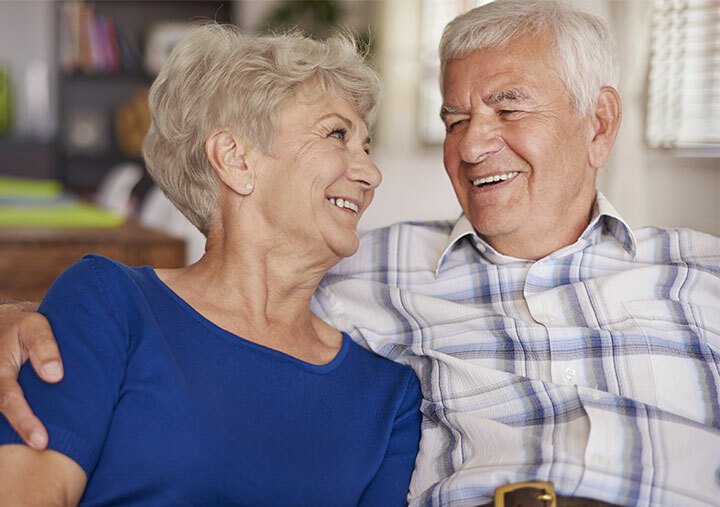 It is vital for every older person to visit a dentist for a routine check-up and professional cleaning as additional dental issues emerge in senior years. It is well known that general health conditions and medications take their toll on oral health and the only possible way to address these issues is through regular visits to the dentist. Sensitivity is another crucial issue that affects us as we get older. As the gum line recedes, teeth that are not protected by the enamel surface become prone to sensitivity to both hot or cold food and beverages. Although it is quite possible to address this complication through anti- sensitive toothpaste, it is advised to visit a dentist as sensitivity may be a symptom of a complicated problem such as a cavity or other defects in the tooth. The probability of dry mouth condition is much higher for older people, the reason being the side effect of medications. It is important there is the correct amount of pH controlled saliva as this is essential to inhibit the growth of bacteria in the mouth. Dry mouth is the end result of the absence or limited production of saliva and it requires immediate attention. If in the initial stages a proper gum disease treatment in Dubai is availed, the chances of reversing the effects are quite high. Dentures should be cleaned properly, using only the prescribed cleaners and never wash with ordinary toothpaste or any other household cleaners. To maintain the health of the dental lining, it is advised to remove dentures for at least four hours a day or as prescribed by your dentist. Good food habits: A good diet plays a huge role in maintaining flawless dental care. Fresh fruits, vegetables, leafy greens, whole grains, and low-fat dairy products are good choices to maintain good oral care. In general, it is better to avoid processed foods that are full of sugar as it can contribute to cavity formation. If you would like to visit one of our clinics for a dental check-up please call one of our branches today.